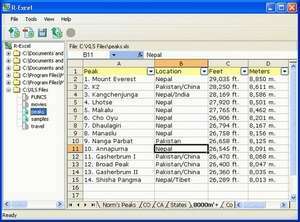 .xls files and to restore lost Excel sheets quickly and easily. R-Excel Recovery 1.2 is a shareware program and can be used as a demo to try the software until the free trial period has ended. A full version of the program is available after the trial period ends. For security reasons, you should also check out the R-Excel Recovery download at LO4D.com which includes virus and malware tests. Additional screenshots of this application download may be available, too. R-Excel Recovery download been highly rated by our users.